Snap-on is among the leading brands of early American tool chests. 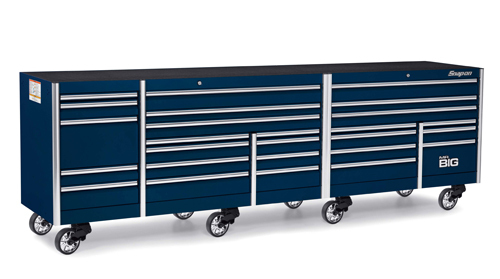 Founded in 1920, the company specializes in toolboxes for auto mechanics. This makes it possible for the professional or DIY weekend warrior to own every hand tool and keep them organized. Throughout the years, the brand name has remained strong with a reputation for durable products and great after-sale support. They are not, however, known for being the most affordable in the market. Find out why and if they’re worth it. 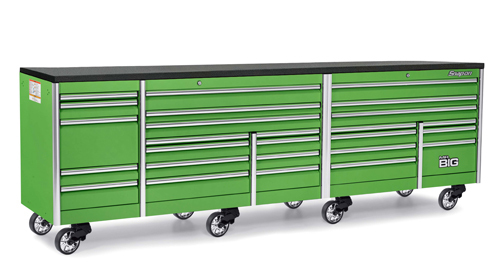 Why Are Snap-On Toolboxes So Expensive? “Snap-on has earned all the reputation that they have.” This is a direct consumer quote who is pleased with the quality, warranty, and service that goes along with each Snap-On purchase. The tools are made with premium materials and built to last. Toolboxes that are frequently used result in multiple doors pulls. This causes wear and tear on any chest and with this in mind, Snap-On Toolboxes are designed to hold up under frequent door pulls, and in many cases, longer than other premium tool boxes similarly or lower priced. Some contend that the brand is “overkill” for the weekend mechanic, but professionals who use their equipment on a regular basis benefit from the exceptional durability. The Snap-On Tool Company has a rich history and has steadily built its reputation for providing high quality, American made automotive tools and accessories for nearly 100 years. Snap-On Tools is an automotive tool manufacturing company established in 1920 in Milwaukee, Wisconsin. When Joseph Johnson and William Seidemann began the operation, it was known as the Snap-On Wrench Company. They manufactured a set of 10 sockets that snapped on to five interchangeable handles. The innovation was intended to minimize the number of tools needed to do multiple projects and the company slogan “5 do the work of 50” became their mantra. The company expanded during the post World War II era. Company dealers hired became independent businessmen and authorized dealers of the Snap-On Tools line, establishing driving routes using large walk-in vans to house the inventory of an expanding product line. Visits were paid to mechanics and automotive professionals on sales routes. Snap-On Tools became a large operation with workers at the Milwaukee plant joining the Teamsters labor union. Plants were established in Tennessee and North Carolina. The main headquarters was based out of Kenosha Wisconsin, manufacturing American made automotive tools and accessories. The company made a series of acquisitions, including the Swedish tool brand Bahco, in 1999, the Pro-Cut company in 2014, Car-O-Liner Holding in 2016, along with Sturtevant Richmont and in May of 2017, Norbar Torque Tools Holding Limited. The Snap-On Tools plant in Murphy, North Carolina was recognized by Industry Week as one of the top 10 plants in North America in 2011. President Donald Trump toured the Kenosha, Wisconsin plant in April of 2017, guaranteeing additional government contracts for companies keeping their workforce in America. Snap-On has maintained a steady stream of job opportunities for Americans to use their entrepreneurial skills to build their wealth through a stable line of quality, in-demand products. A look at the top five most expensive Snap-On Tools boxes gives us an idea of the value for the cost for frequent users. This model is the fifth most expensive Snap-On Tools chest on the market with a retail selling price of $17, 055 from authorized dealers. They’re also available from other vendors including eBay auctions and private parties in used condition for less. A dedicated drawer for power tools provides space for storage, a power strip with five outlets, and two USB ports allow you to organize, easily access tools and charge them in one convenient location. The power source is integrated for additional power outlet options. This system makes the toolbox roll easily over smooth or rough surfaces with 4- 7 x 2 inch swivel lock mag wheels. The compression suspension makes rolling smooth and the dual brake lever for each wheel safeguards from accidental rolls with a load capacity of up to a ton for each wheel. Drawers pull open and close easily with a flush final design. Drift opening is prevented and the system enhances the life of the drawer action by reducing friction, wear and tear for additional durability by design. The net weight of the toolbox is 1,270 pounds with a load capacity of 8,000 pounds for holding a variety of power and manual tools and equipment. Crafted with corner gussets, extra support on the bottom and top, standing seam construction and side support for additional durability and strength. The bed liner is designed with a steel work surface featuring a raised edge around the perimeter for keeping all parts in place. The liner is coated with materials used on truck bed liners and the materials are resistant to cracking, peeling, abrasions, chemical spills, and are easy to clean. The top of the roll cab features 2 extra wide drawers for easy access to tools that are used the most. Organization, storage, accessibility and long life are the hallmarks of the EPIQ Series Power Drawers. The addition of the ECKO remote lock adds an extra security feature to this version of the 12 Drawer EPIQ Roll Cab with Power Drawer. The features and benefits are identical to its lower-priced version, with the exception of the remote lock for an additional cost of $710 for the feature. Glide the toolbox easily over smooth or rough surfaces with 4- 7 x 2-inch swivel lock mag wheels. The compression suspension makes rolling smooth and the dual brake lever for each wheel safeguards from accidental rolls with a load capacity of up to a ton for each wheel. The top of the roll cab features 2 extra wide drawers for easy access to tools that are used the most. The organization, storage, accessibility and long life are the hallmarks of the EPIQ Series Power Drawers. The toolbox comes equipped with a remote lock system installed at the factory. Two key fobs are included with a set of two regular keys. The toolbox beeps once when locked with the key fob and twice when unlocked. Key fobs may be customized to work with multiple Snap-On Toolboxes. A standard key fob battery is required and the system requires a plug into a standard 110-volt outlet. The range of the fob utility is 75 feet when unobstructed. This is a larger version of the EPIQ Series Roll Cab with PowerDrawer with 5 banks and 26 drawers for larger operations. The net weight of this system is 1,925 pounds with a load capacity of 16,000 pounds, which is double that of the 84 inch model. A dedicated drawer for power tools provides space for storage, a power strip with five outlets, and two USB ports allows you to organize, easily access tools and charge them in one convenient location. The power source is integrated for additional power outlet options. This toolbox moves easily over smooth or rough surfaces with 4- 7 x 2 inch swivel lock mag wheels. The compression suspension makes rolling smooth and the dual brake lever for each wheel safeguards from accidental rolls with a load capacity of up to 2,000 pounds for each wheel. Drawers pull open and close easy with flush final design. Drift opening is prevented and the system enhances the life of the drawer action by reducing friction, wear and tear for additional durability by design. The net weight of the toolbox is 1,925 pounds with a load capacity of 16,000 pounds for holding a variety of power and manual tools and equipment. Crafted with corner gussets, extra support on the bottom and top, standing seam construction and side support for additional durability and strength. The top of the roll cab features 3 extra wide drawers for easy access to tools that are used the most. Organization, storage, accessibility and long life are the hallmarks of the EPIQ Series Power Drawers. The EPIQ Series Roll Cab with PowerDrawer equipped with 5 banks and 26 drawers. The net weight is 1,925 pounds with a load capacity of 16,000 pounds. This toolbox rolls easily over smooth or rough surfaces with a 7 x 2 inch swivel lock mag wheels. The compression suspension makes rolling smooth and the dual brake lever for each wheel safeguards from accidental rolls with a load capacity of up to 2,000 pounds for each wheel. The tool box comes equipped with a remote lock system installed at the factory. Two key fobs are included with a set of two regular keys. The tool box beeps once when locked with thee key fob and twice when unlocked. Key fobs may be customized to work with multiple Snap-On Tool boxes. A standard key fob battery is required and the system requires plug in to a standard 110 volt outlet. The range of the fob utility is 75 feet when unobstructed. The most expensive Snap-On Toolbox is the massive EPIQ Series Bed Liner Top Roll Cab with Power Drawer. It is the most expensive model made by Snap-On at just under $30,000. The EPIQ is made for automotive professionals and mechanics and who require precision organization and fast access to a variety of tools and equipment. This is the heaviest net weight Snap-On Toolbox offered. Four 7 x 2 inch swivel lock mag wheels make rolling this toolbox over rough or smooth surfaces easy. The compression suspension makes rolling smooth and the dual brake lever for each wheel safeguards from accidental rolls with a load capacity of up to a ton for each wheel. The net weight of the toolbox is 2,240 pounds with a load capacity of 16,000 pounds for storing and organizing multiple power and manual tools and equipment. The unit is constructed with corner gussets, extra support on the bottom and top, standing seam construction and side support for additional durability and strength to hold up under the high weight capacity. The bed liner is made with a steel work surface that features a raised edge around the perimeter to keep parts in place. The liner is coated with similar material used on truck bed liners making it resistant to cracks, peels, abrasions and chemical spills. The bed liner is conveniently easy to clean. The top of the roll cab features 3 extra wide drawers for easy access to tools that are frequently used. The system is valued for fast and efficient organization, storage, accessibility of tools and equipment and its intense durability.